FedsHireVets.gov is a major initiative of the U.S. Office of Personnel Management so quite a few designs were submitted for consideration. 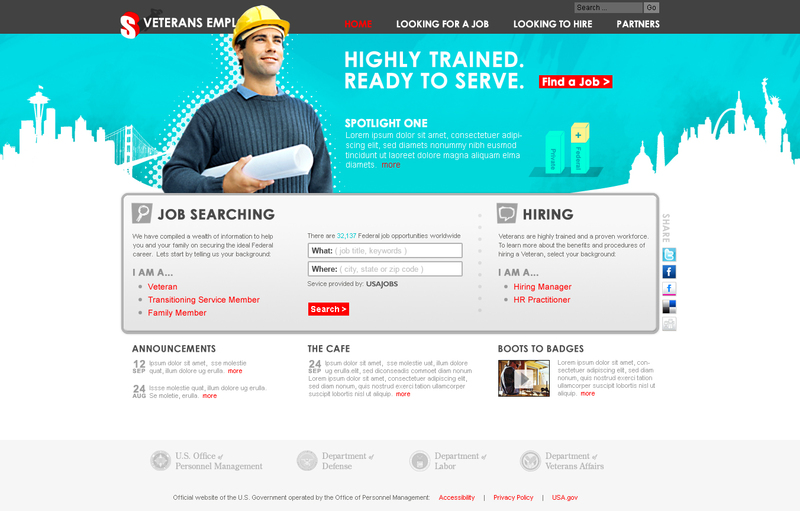 The first design proposes a creative and fresh feel to a government website. With rotating knowledge bits, polls, and job search right on the homepage. 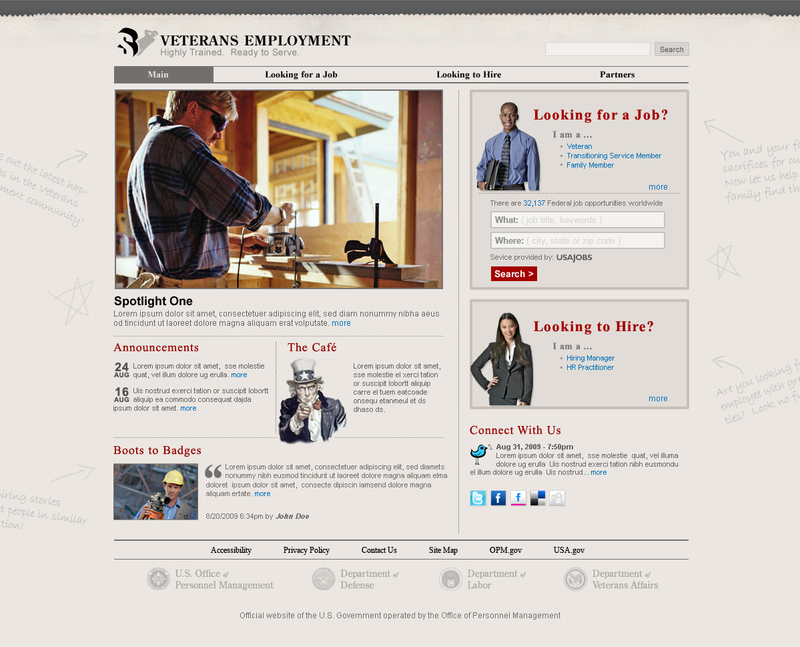 The second design proposes a more traditional website layout with a subtle newspaper theme hinting at job search. Ultimately this design was chosen as the look and feel for the Federal website.